The act of giving is one of the best traditions of the holiday season. It builds bonds and shows your loved ones how you care for them. Unfortunately, the way we give can also lead to more waste, and more stuff. Did you know that between Thanksgiving and New Years Day, the amount of waste created increases 25%? (EPA) That’s a lot of wrapping paper, food and ribbon in the trash! This holiday season, Montgomery County is challenging you to Gift Outside the Box, by updating how you buy gifts and what you give to reduce our footprint, build community and help the local economy. Show how well you know your friends and family by gifting them custom experiences. Does your father love concerts? Have you been meaning to spend time with your ice skate-loving friend? What about a dinner out with a loved one? Giving the gift of experiences, builds memories and lasts a lot longer than stuff. So this year, say enough with the stuff and gift experiences! To help you gift experiences, Montgomery Parks developed a certificate for printing and sharing! You could use this to gift a walk in the park, a Montgomery Parks class or a Rec Pass. Use gifting as a way to build community and show how much you care. Dollar-for-dollar, no gift has greater positive impact than giving to charity in someone’s name. Give a gift to charity in someone’s name or volunteer together! To help you gift back, Montgomery Parks developed a certificate for printing and sharing! You can put this certificate in a box and gift it! How many of the 3Rs do you truly think about during the holiday season? Recycling is a crucial step, but that happens after we have already wrapped paper or shipped boxes. This holiday season, we challenge you to think about the other 2 Rs too: Reduce and Reuse. Help reduce waste by bringing reusable bags to the stores, building unique gifts from materials you already have and minimizing the wrapping paper. You can reuse bags or wrapping paper, create gifts, such as personalize a picture frame or sew a customized gift, or shop at vintage or consignment stores. Show your support for County businesses and get your loved ones great gifts! Buying gifts from local shops supports our County economy and helps reduce carbon emissions from shipping gifts or driving to far away stores. 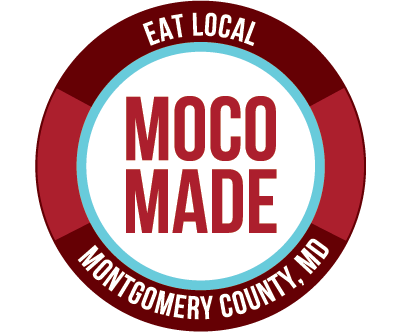 For the foodie in your life, buy edible gifts with the “MoCoMade” logo to support local farmers and producers. All of the other topics of this campaign are about updating the kinds of gifts you buy. When you Gift Greener, you are also thinking about how you buy gifts. This year, try carpooling to stores, bringing your reusable bag to all stores (grocery AND department stores) and planning out your shopping trips in advance to minimize your time on the road. 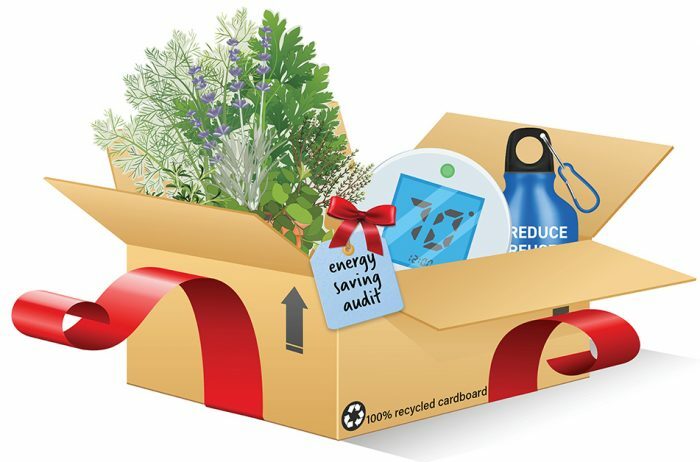 Other ways to gift green, include giving energy-saving technology or plants! Are you Gifting Outside the Box this year? If so, let us know by using #giftgreener on your social media posts. Look for our ads all season long. Photo of ice skaters courtesy of Montgomery Parks.